← Your WTF for the day – Bear cuddling with wool? 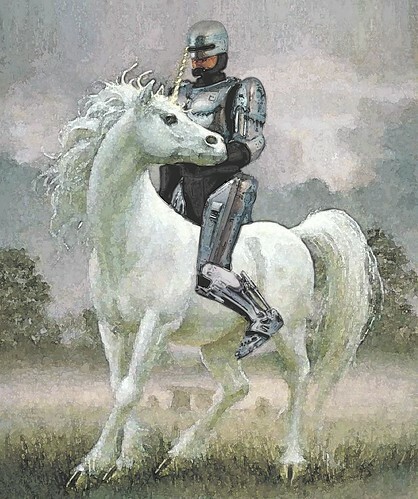 Robocop on a unicorn! Many other renditions can be found here. This entry was posted in Art, Ridiculosity, Role Models and tagged Art, favs, robocop, Role Models, unicorn. Bookmark the permalink.